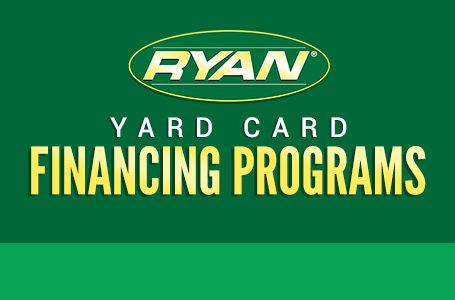 When the terrain gets tough, the Renovaire® commercial aerator gets going. 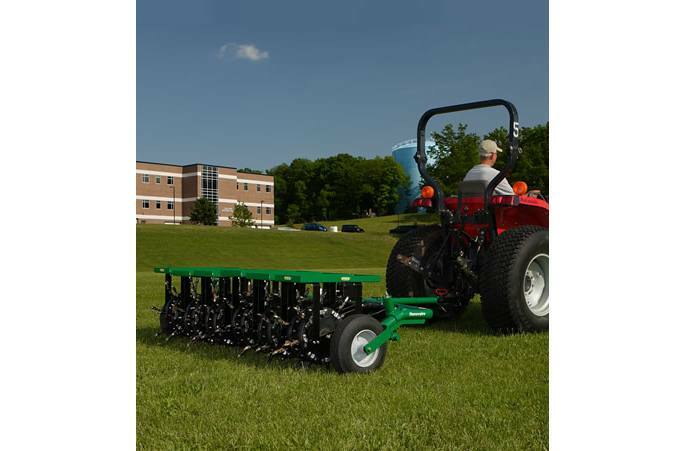 This hard-working tow-behind aerator is at its best on large, undulating turf areas such as golf course fairways and roughs. With each pair of tine wheels mounted independently from the others, aeration follows the contour of the landscape, providing unmatched coring precision on undulating surfaces. With six feet of aerating width and an operating speed of four mph, the Renovaire is capable of completing three acres in a single hour. Your choice of coring, spoon or slicing tines penetrate to a depth of four inches. 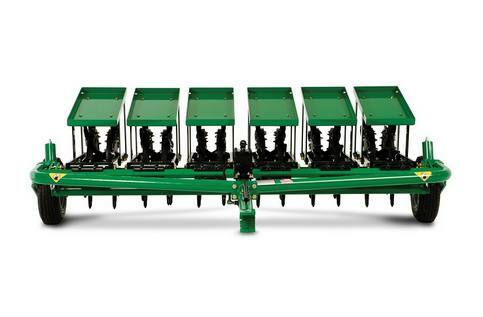 Each weight tray is capable of holding up to 150 pounds, allowing pristine aeration even in the most heavily compacted soil. Just attach it to any tractor capable of towing 1,600 pounds and get ready to conquer the ups and downs of the most challenging surfaces.